Helmets can save lives and prevent trauma, but only if they are worn properly. 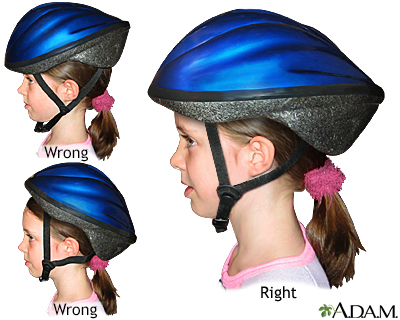 A helmet should be worn squarely on the top of the head, covering the top of the forehead. The chinstrap must be fastened and the helmet should fit snugly and comfortably. The helmet should not be able to move side-to-side or front-to-back. Most helmets come with removable pads so you can customize the fit for any child. Head injuries can range from a minor bump on the head to a devastating brain injury. Learning to recognize a serious head injury, and implementing basic first aid, can make the difference in saving someones life. Common causes of head injury include traffic accidents, falls, physical assault, and accidents at home, work, outdoors, or while playing sports. 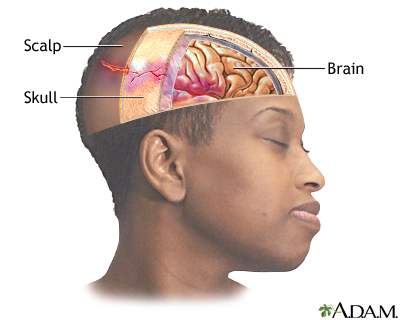 Head injury can be classified as either closed or penetrating. 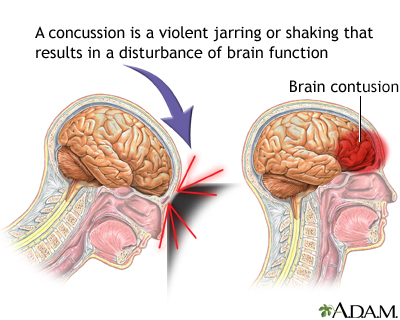 In closed head injury, the head sustains a blunt force by striking against an object. 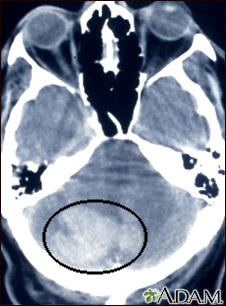 In penetrating head injuries, a high velocity object breaks through the skull and enters the brain. 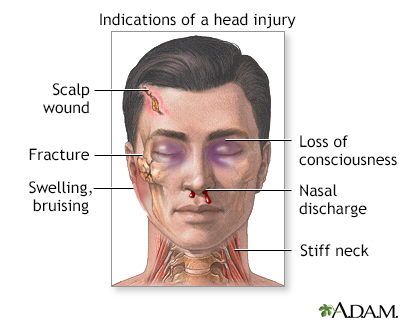 The signs and symptoms of a head injury may occur immediately or develop slowly over several hours.